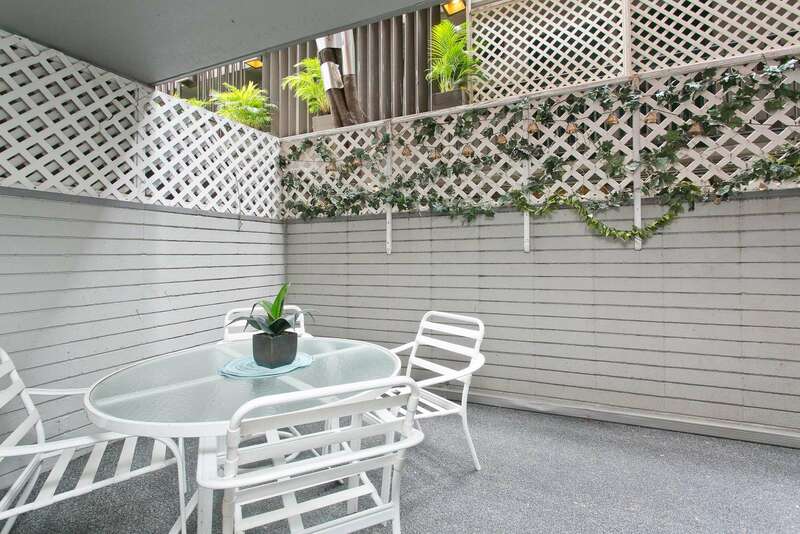 Nestled into the corner of the property giving lots of privacy and nice quiet nights. 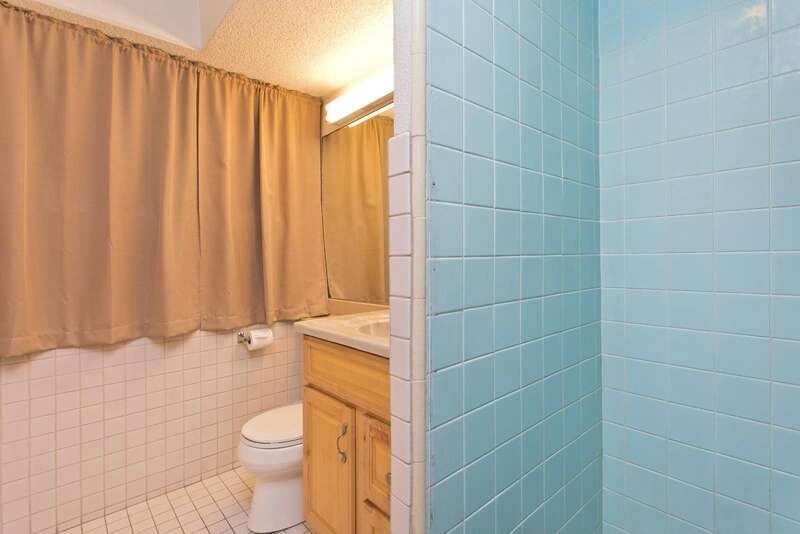 Includes a large private patio. 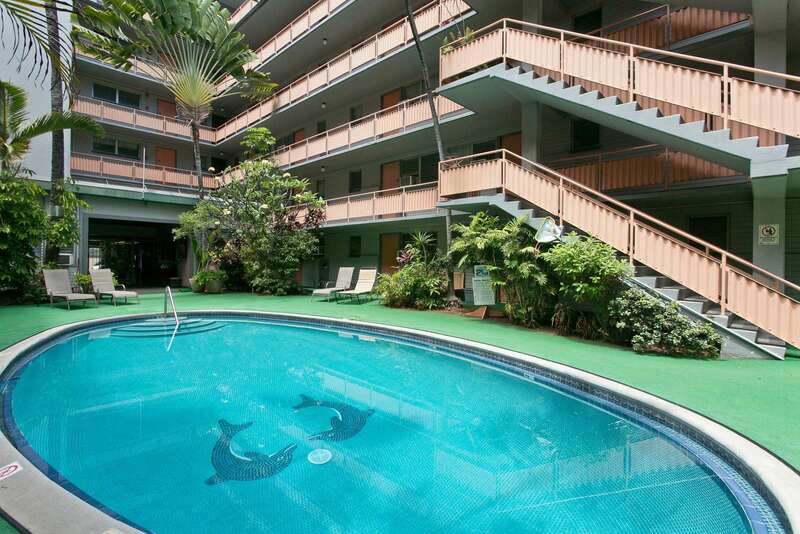 Hawaii King Hotel is a well maintained + charming building w/ pool, laundry, lobby attendant, free WiFi, cable TV, and BBQ area. 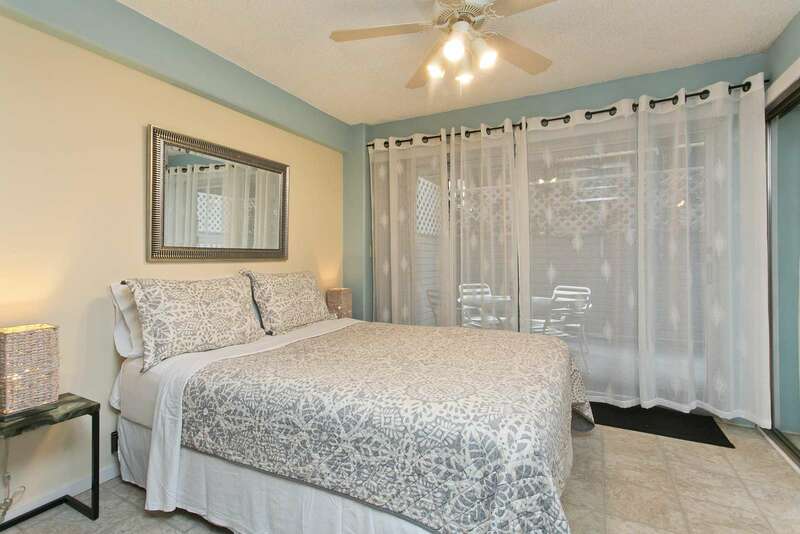 The large open floor plan allows for privacy as well with sliding doors. 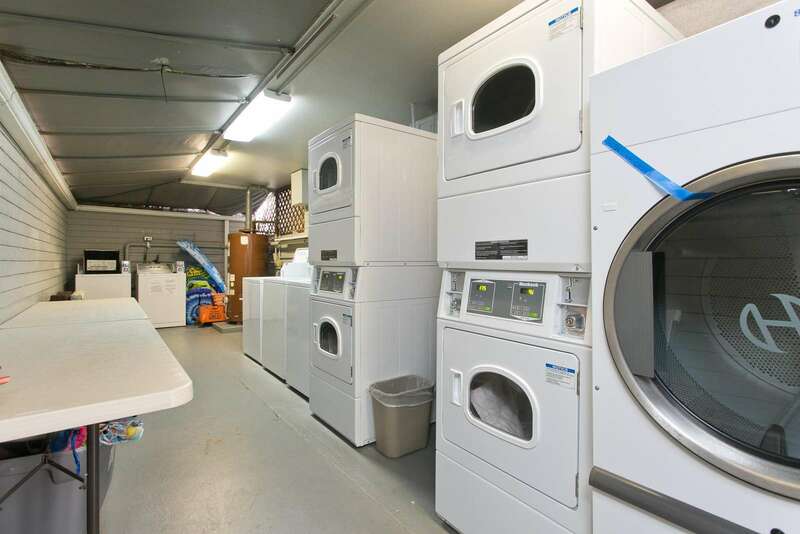 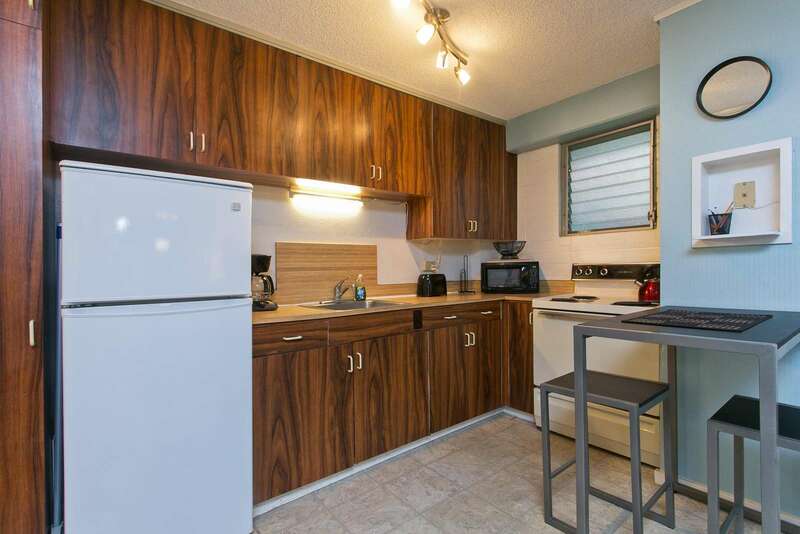 The open kitchen is well equipped with coffee maker, toaster, microwave, pots, pans, etc... Linens and beach towels provided. 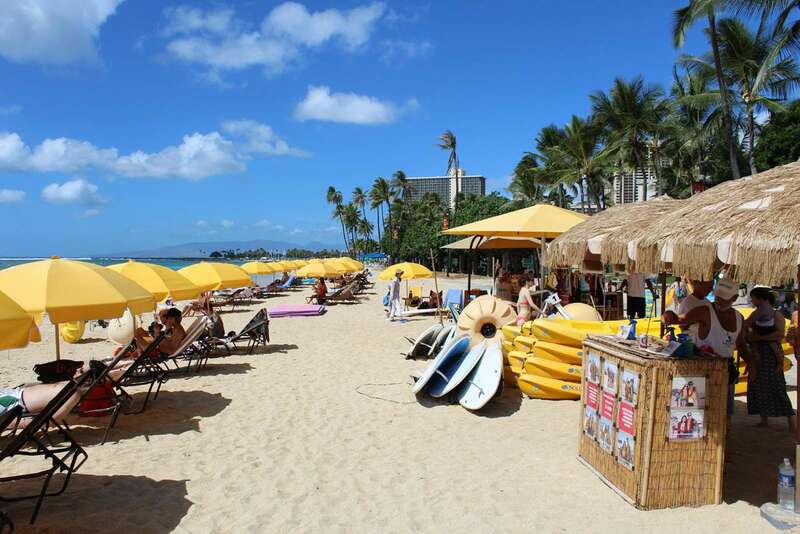 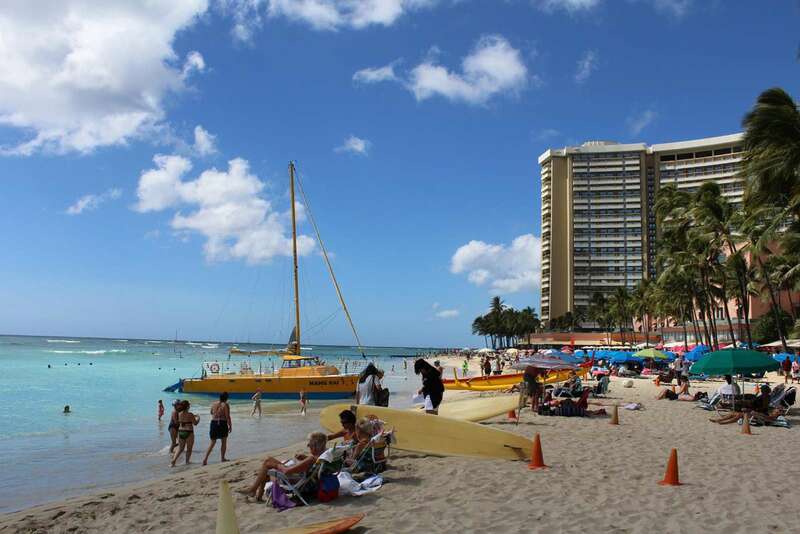 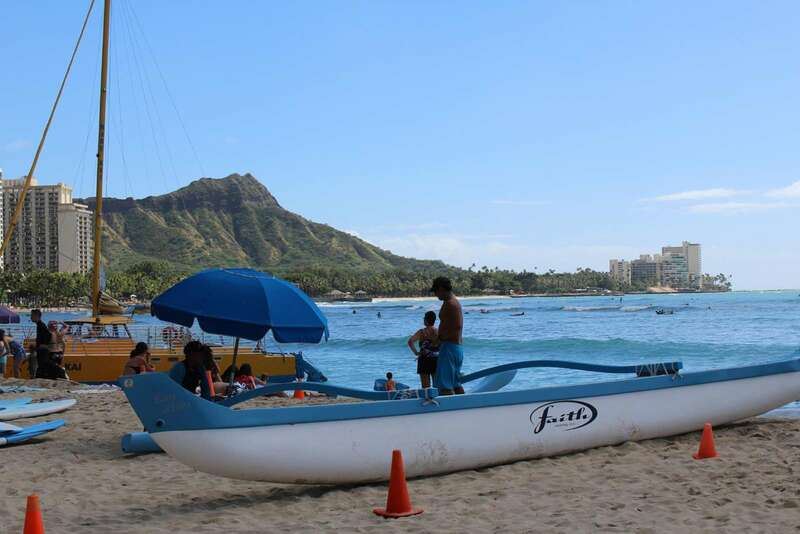 2 blocks to central Waikiki Beach!! 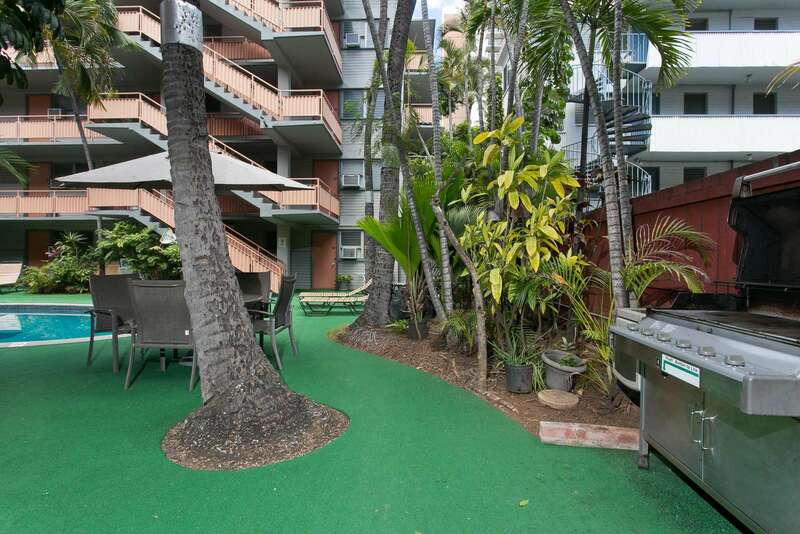 You can't find a better deal with a full kitchen, private lanai area, steps to the beach and pool in clean, chic, design. 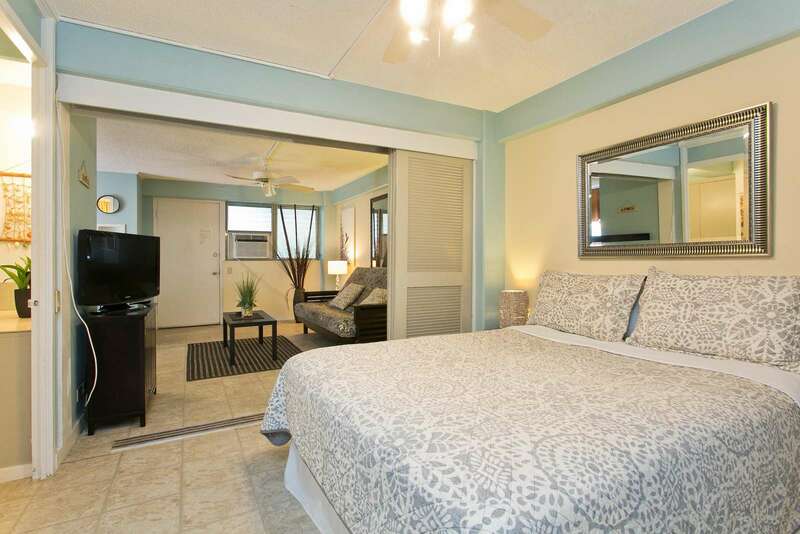 The open living area offers TV, free Wi-Fi, and music entertainment. 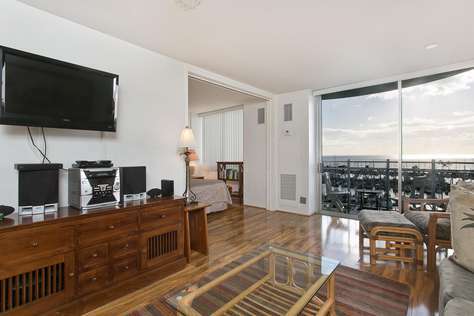 Or sit back relax, read a book and treat the sofa like it's your own. 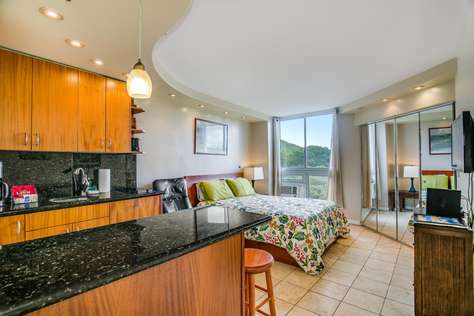 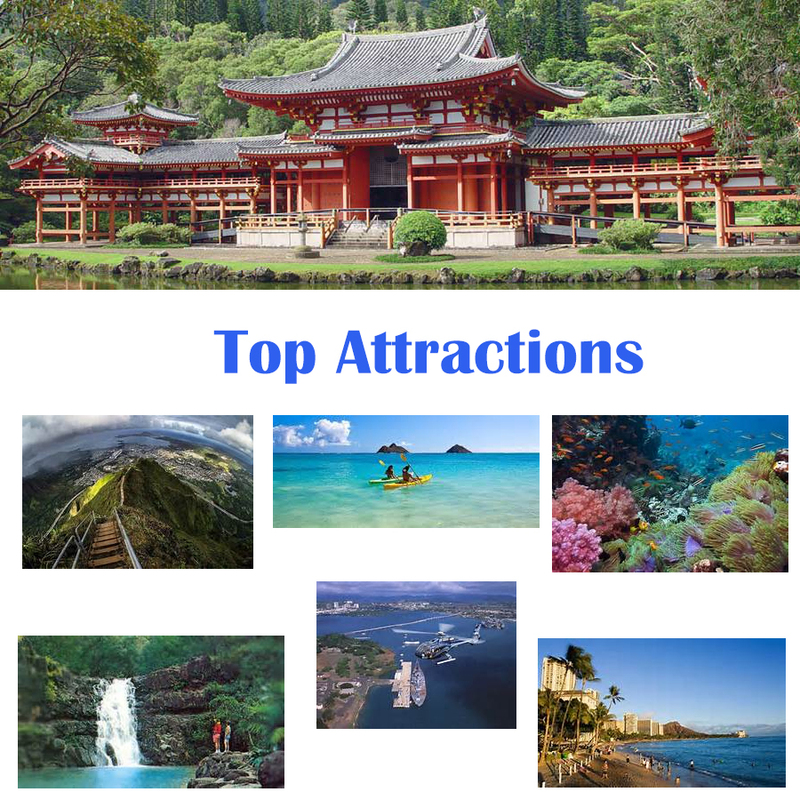 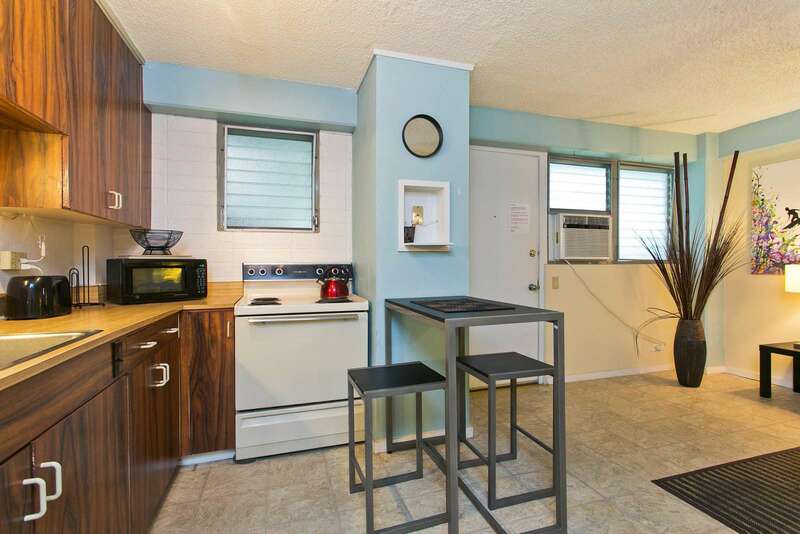 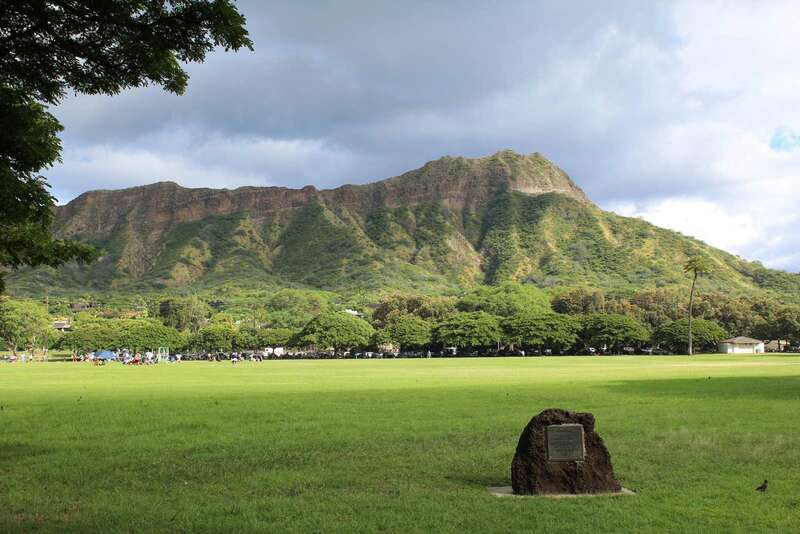 Located in the interior corner of building offering shade, peace and quietness, but just steps from the action of the Hawaii King and the rest of Waikiki. 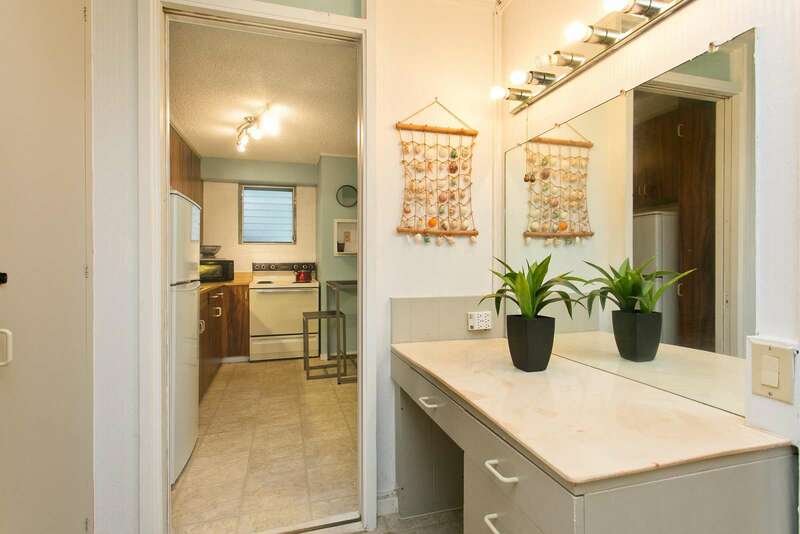 The bathroom area offers a spacious prep area. 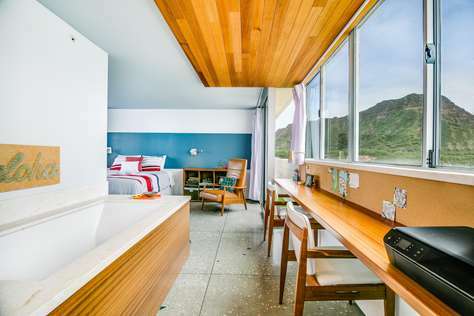 The step down shower w massaging shower head awaits your relaxation time after a day hiking, surfing, diving or wherever your adventure took you.